When we first read the news that the Duchess of Cambridge (or Kate Middleton to everyone else) might not be part of her sister Pippa’s upcoming wedding party, we assumed it was due to some antiquated rule about Duchesses not being allowed to participate in non-royal weddings or something. Maybe the wedding had to be performed by the Queen to allow Kate to be part of it and Pippa wasn’t into the idea of Elizabeth sternly delivering her vows? Maybe Kate required a huge amount of royal security and Pippa was worried the presence of the British army would ruin the romantic vibe? Because there’s no reason Kate wouldn’t want be part of her sister/BFF’s wedding, right? 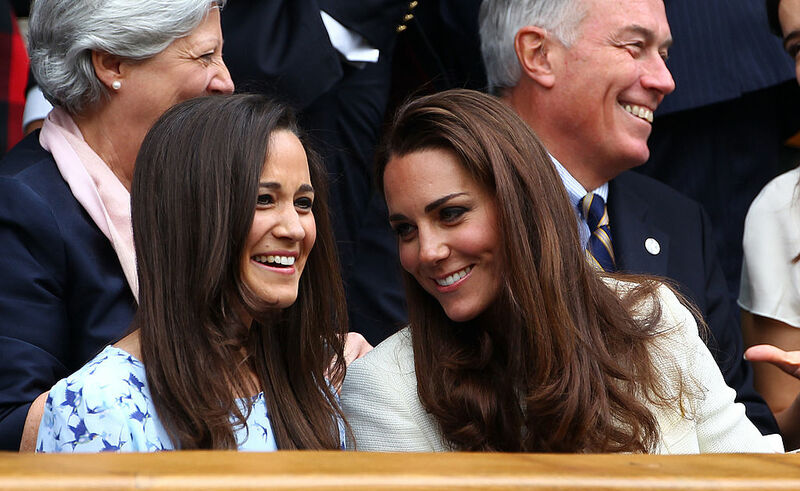 Turns out there might be a reason, and it’s actually kind of sweet: Kate’s reportedly worried about taking attention away from Pippa on her big day. You know, with the whole being a world-famous Duchess and future Queen of England thing? We can’t imagine Kate will actually opt out, especially since Pippa was such a stunning Maid of Honor in Kate’s wedding. It kind of makes us sad knowing that Kate might not be able to return the favor. Also, if Pippa’s gorgeous, gigantic engagement ring is any indication, her wedding is going to be a truly extravagant affair. Having a future queen as the Matron of Honor will just make it that much more, well, regal.